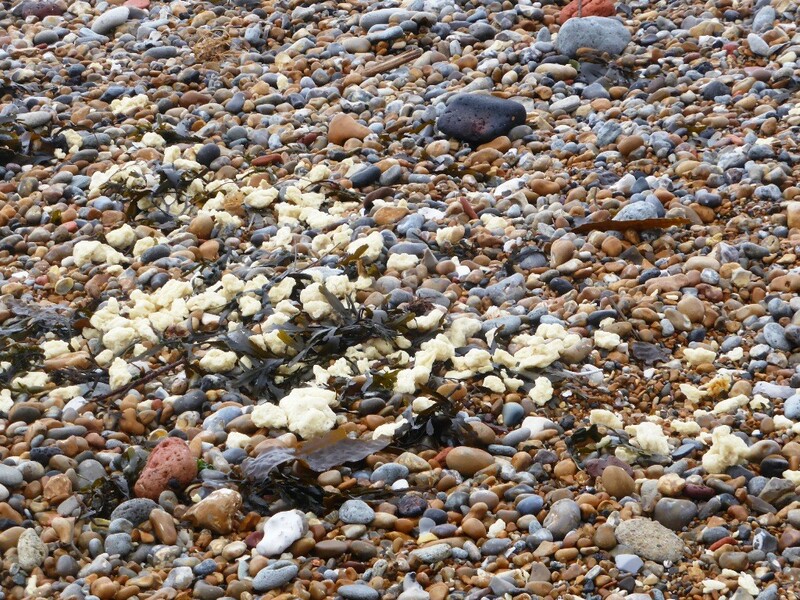 Deposits of a waxy mineral oil have been found washed up on the Kent shoreline, with the worst affected areas between Sandgate and Folkestone Warren. 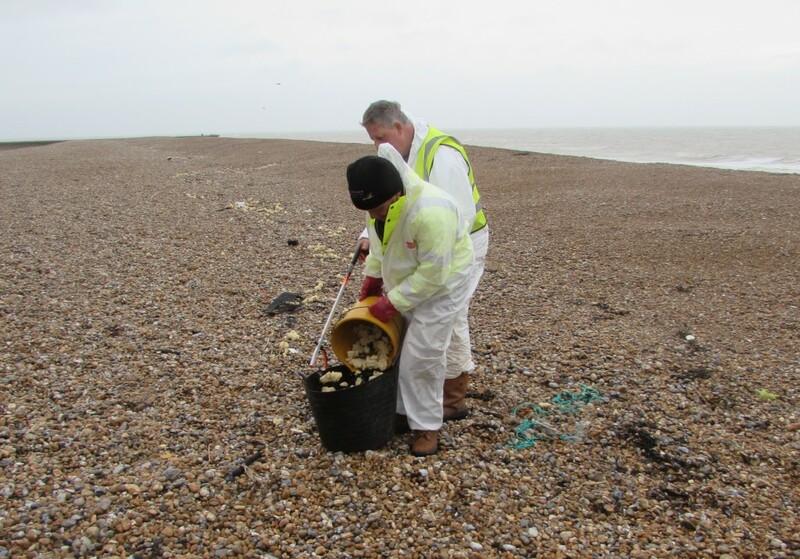 A clear-up operation is currently being undertaken by staff from Shepway District Council. The public are advised to not touch the substance and to keep dogs on a lead and away from it. Kent Scientific Services, which is part of Kent County Council (KCC), carried out a chemical analysis and was able to identify the paraffin-based substance. KCC has been advising on the clean-up and recovery operation and has also been liaising with the Maritime & Coastguard Agency on the cause and likely source of the pollution, which would appear to be from shipping in the Dover Strait. 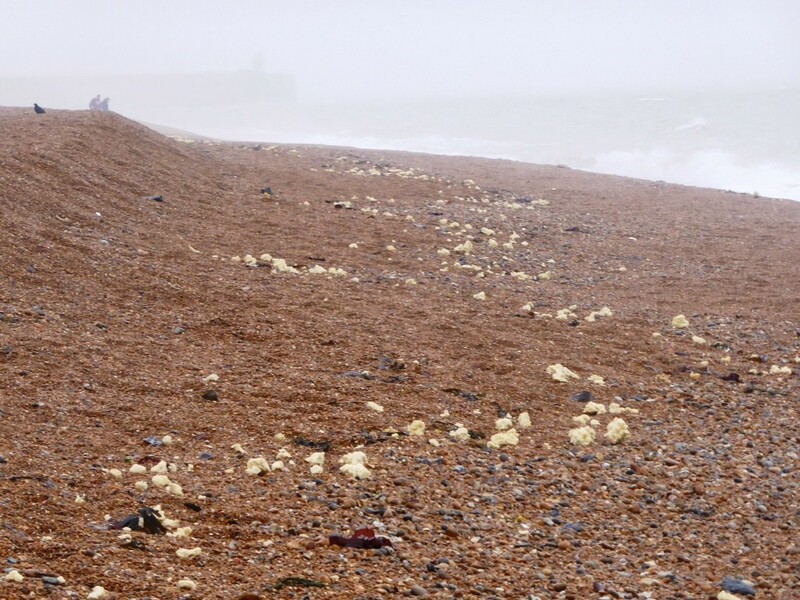 The material has the appearance of waxy lumps but the public need to be aware that stormy conditions this week have resulted in a wide range of harmless materials coming ashore such as whelk eggs. At present no fouled seabirds have been found, but the public should alert the RSPCA if any distressed seabirds are found and not touch the birds themselves. David Monk, Leader of Shepway District Council, said: “There is an ongoing clean-up operation along the shoreline from the Folkestone Warren to Sandgate. Chris Drake, Coastal Officer at KCC, who fulfills the County Oil Pollution Officer role, said: “While major oil spills in the UK have been few in the 21st century, the form of pollution we have seen this week is becoming increasingly common and is a big challenge for local authorities with affected shorelines. “KCC is responsible for the Kent and Medway Shoreline Pollution Emergency Plan which provides a policy framework for coastal shoreline pollution planning and response in Kent and Medway, and through the Kent Resilience Forum, KCC also chairs the Marine and Aquatic Pollution Group, comprising key agencies. “In the event of a serious coastal pollution incident, KCC resources and those of the Maritime & Coastguard Agency can be deployed to assist the affected Districts. “The Kent coast is rich in wildlife and many areas are designated as Marine Protected Areas, it is also vital for important industries, not least fisheries and tourism. “The pollution which occurred this week is at a scale where our colleagues at Shepway District Council are able to manage the response. As the clean-up operation concludes, further updates will be provided on the state of the shoreline. In the meantime the public should follow advice in avoiding contact with the substance and keeping dogs on a lead on the affected shoreline. There are also concerns about the possibility of seabirds and other wildlife coming into contact with this substance and anyone aware of this should call the RSPCA on 0300 1234 999. Shepway District Council will provide up to date information on this situation on its website.